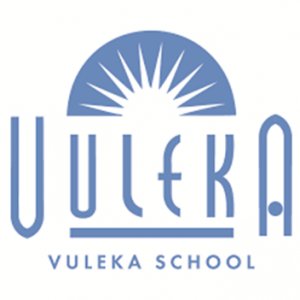 From the mid-August to mid-October, (coinciding with the Season of Creation), JAEI partnered with the Vuleka Schools in holding an Art Competition on various themes of an environmental nature. The exhibition of work was held at the St Joseph’s Diocesan Centre and judging took place on 25th October. The entries were incredibly creative and the standard was high – so much so that the judges – Mark Franklin and Anne Wright from JAEI; Ven. Michelle Pilet; Revd Alice Mugglestone and Carol Henning (from the Crafter’s Guild) – had a very difficult time in declaring winners in the 4 categories. Congratulations must go to all the children from the Vuleka Schools who entered! Certificates and prizes will be presented at their Year-end Assemblies. On Saturday, 25 August, 2018, JAEI had the pleasure of welcoming Garth McFarlane of SinkMaster to speak to us about the importance of “sorting at source” and recycling initiatives. He underlined the fact that the Johannesburg Metropol is fast running out of landfill space which makes responsible recycling an urgent focus. Later we were joined by Alison Bentley-Griffiths of ADVA Youth Skills Development who are using Eco-bricks in many community projects. Alison gave us a deeper look into these projects and what was needed which was not only informative by really very useful. 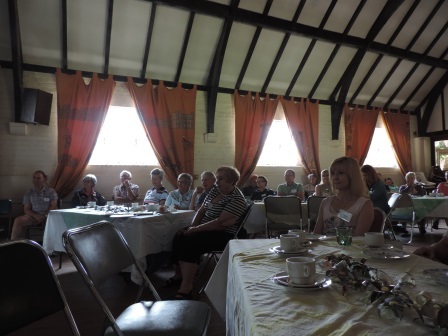 Of course, where we Anglicans meet … we eat! 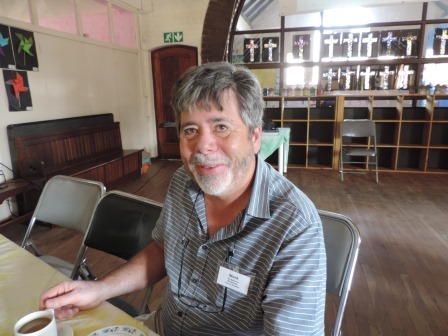 ….. and our thanks go to Ven. Revd. Michele Pilet and the St Pauls, Parkhurst Team for hosting our morning and providing an awesome spread of delicious goodies! A morning of great fellowship, great food and great speaker made JAEI’s Eco-breakfast a fantastic event! It was JAEI’s privilege to welcome CEO of BirdLife South Africa, Mark Anderson. As out Guest Speaker. Mark’s presentation and address was not only informative, but thoroughly enjoyed by the more than 40 people in attendance. Mark spoke about the successes in bird conservation, as well as the challenges that are faced by our feathered friends. The successes gave us hope, but the challenges must spur everyone on to new heights in our quest for stewardship of God’s awesome Creation. 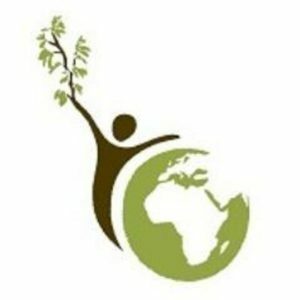 If you want to know more about BirdLifeSA – what they do, and how YOU can become involved, visit them at www.birdlife.org.za. Also – don’t forget that 25th November is Big Birding Day – so get out and become involved!